A Poland-made rotary parking spot, or elevator parking, will be installed downtown Kyiv in February, as an experiment, according to Architecture.Business.Construction web portal. 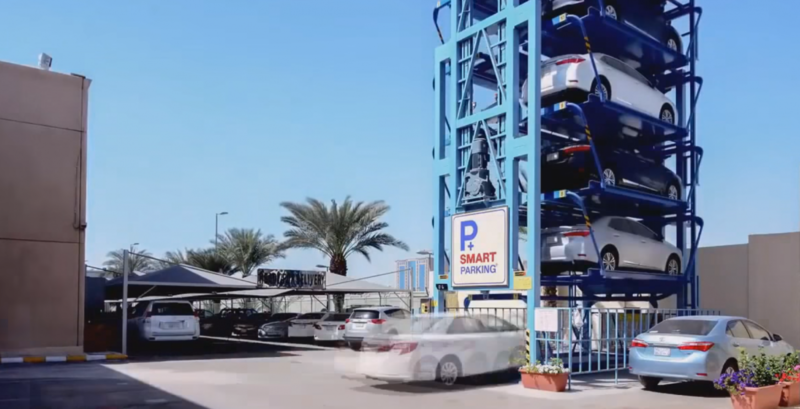 Rotary parking is a 10-15 m high metal structure with vertically rotating platforms for parked vehicles. It takes five days to install such 30 sq.m structure, able to hold up to eight vehicles, reads the report. It’s the drivers parking their cars who control the rotation routine. "We got it for free. The Poles decided to show us how it works. The prototype will be temporarily mounted at one of Kyiv’s locations so that the people in Kyiv could figure out how this technology works," said Kyiv Mayor’s adviser Dmytro Belotserkovets. Read alsoAlmost 600 ballpoint pen drawings on display in KyivIn the near future the city authorities plan to announce a tender for the purchase of five rotary parking structures. The exact cost has not yet been named. The officials believe that such measures must unload the streets of the capital. At the same time, some experts note that due to some technical features of rotary engines, such parking is primarily used in countries with a warmer climate. "It’s practically impossible to predict how the structure will work in winter conditions or high humidity," says former Deputy Minister of Transport Oleksandr Kava.